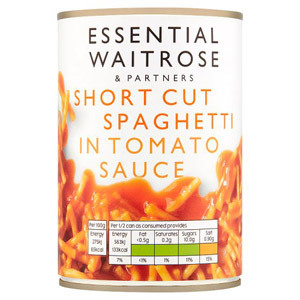 Tinned pasta is a store-cupboard must-have, great for helping you out in your times of need. Ready in no time, these tins can be enjoyed in a variety of dishes and feed hungry mouths when you're in a rush. 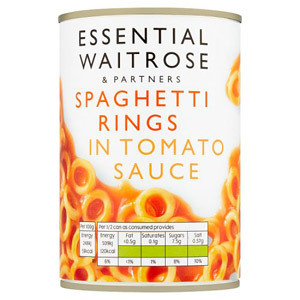 With a long shelf-life, these high-quality Waitrose tins are the perfect back-up to keep handy for a delicious, childhood classic meal.